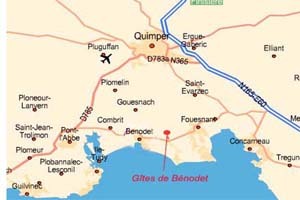 Three of our rural gites are situated near to Bénodet, the main beach resort of Finistère in south Brittany. The fourth gite is situated in La Foret Fouesnant, the location of Port-La-Foret, the home harbour many famous sailors and their racing yatchs. 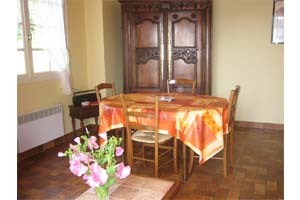 The gite 12271 for 5 people, situated close to Bénodet, is classified with "4 spurs" by Gites of France, Relay of Finistere. 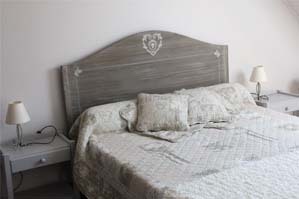 See the holiday rental 12271 The shelter 12272 for 4 people, also close to Benodet, is classified with "3 spurs" by Gites of France, Relay of Finistere. 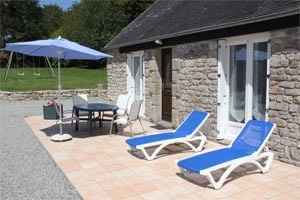 See the holiday rental 12272 The 12274 cottage for 6 persons close to Benodet, is classified with "4 spurs" by Les Gites de France, Finistère. 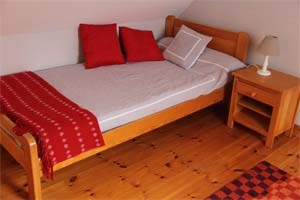 The gites are equipped with free Internet access. 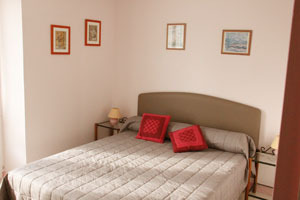 Each holiday home is a modern, very comfortable, independent, spacious, functional, well lit gite. 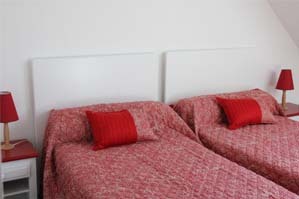 Each gite has a private garden, where you can relax in peace. Our gites are close to beaches (4 to 7 km), to Fouesnant, Quimper, Concarneau, Pont-Aven, LaForêt-Fouesnant, Port-La-Foret, Guilvinec, la Pointe(Headland) of Raz, the Islands of Glénan, Locronan. - hiking on numerous marked trails, and in particular along the coastal paths. Nature days out are organized locally by several guides following various themes, particularly relating to the sea. - if the weather conditions are favorable, we can even propose the discovery of the headlands of the South Brittany by light aircraft. 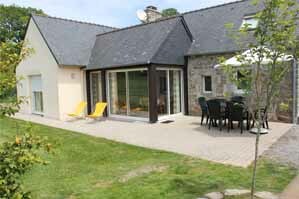 The 3 gites, for 4, 5 and 6 persons, situated near to Benodet have address:: Kerholven, 75 road of Guerveur, 29950 BENODET. 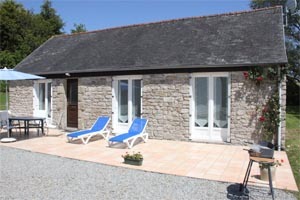 This 3 holiday homes are situated between the towns of Benodet (4 km) and Fouesnant (4 km). Route: when coming from Rennes via the RN165 dual carriageway, take the exit Nr 51 at Coat Conq, pass though La Foret Fouesnant, and Fouesnant, to follow the direction of Bénodet. 2,5 km after leaving Fouesnant, just after the antique shop (Antiquités, brocante), turn right into the route de Kermine. Continue 1,2 km on this road, the gite is to the left side, indicated by panel "Gites de France, Kerholven". 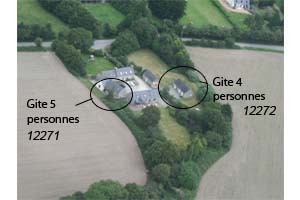 A gite of character, typical of Brittany (from the François 1st aera), independent, with 110 m ² all on the same level. Accomodates 5, with Internet connection, very comfortable. 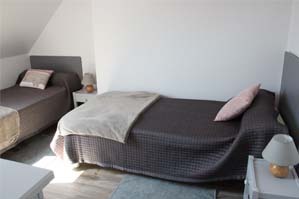 The gite contains: a lounge - dining room - kitchen, a storeroom, a bedroom with 1 bed for 2 persons (160X200), a bedroom with 2 single beds, a WC, a bathroom with WC. In the relaxation aera in the hallway there is a bed. 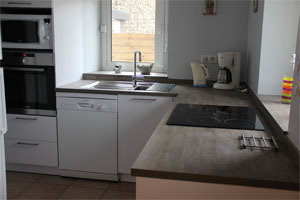 The holiday home is equipped with: kitchenware, crokery and cutlery, fireplace, television, cd-DVD reader, internet connection, phone (France-telecom phonecard operated), cooking hob, oven, microwave oven, kettle, electric coffee maker, refrigerator, dishwasher, washing machine, tumble-dryer, 1 high chair and 1 cot. 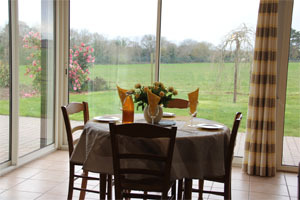 On the south west facing patio, garden furniture and a barbecue are provided for your confort and enjoyment. 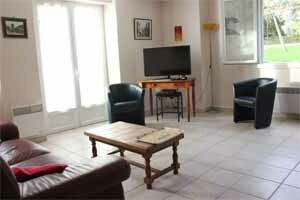 The private garden of the gite extends to approx. 500 m ² and has a swing. It is possible to hire sheets and towels for your holiday, and to request that the cleaning is taken care of at the end of your stay. - via telephone of the owner +33(0)2 98 54 83 83 ou +33(0)6 76 63 71 95, who relay to " Gites de France "
- the rental period is from Saturday 4pm until 10 am Saturday. 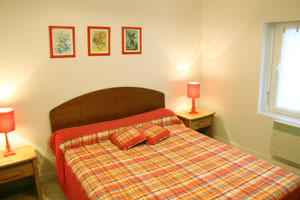 The gite is independent, spacious, modern and comfortable, with 60 m² on the same level, sleepps 4, with Internet access. The property consists of: lounge - dining room - kitchen corner, bedroom 1 with a double bed, bedroom 2 with two single beds, a shower-room, a toilet. 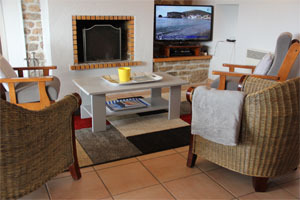 The holiday home is equipped with: kitchenware, crockery and curtlery, television, DVD player, cooking hob and oven, microwave oven, kettle, electric coffee maker, refrigerator, dishwasher, washing machine, tumble-dryer, 1 high chair and cot. 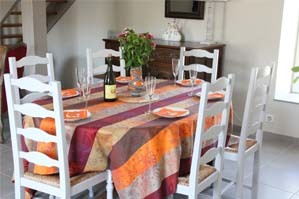 The gite's private garden extends to about 1500 m ² and is eqipped with garden furniture, a barbecue and a swing. It is possible to hire sheets and towels for your holiday, and to request that the cleaning is taken care of at t(he end of your stay. - the rental period is from Saturday 4 pm until 10 pm the following Saturday. 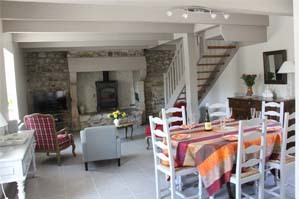 It is the house of the farm, completely renewed, very comfortable, 130 m ², the spacious, functional, super-equipped, with its fireplace, its terrace and its garden of 800 m ². 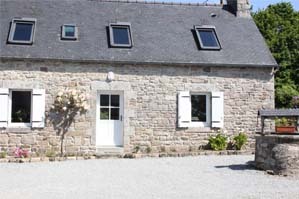 This holiday cottage has just been approved by Les Gîtes de France, and is classified "4 spurs". - In the ground floor: a lounge- séjour-kitchen, a storeroom, one toilets. - In the first floor: a room(chamber) with a double bed of 160X200, a bedroom with two beds of 90X200, a bedroom with two beds of 90X200, a shower-room with toilets, a desk. The equipment of the holiday cottage was conceived to bring the maximum of comfort: WiFi free, television 40 ", DVD drive, radio, flatware and electric kitchenware, coffee marker and kettle, cooktops, microwave oven, oven, refrigerator with compartment freezer, dishwasher, washing machine, tumble-dryer, table and iron, chair and reads baby, electric heating, barbecue, garden furniture, swing.